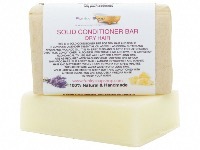 This conditioner really works well with the natural shampoo bars. 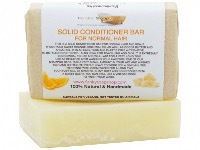 I have been using the apricot shampoo bar for about a month now and love the fact that it’s made with natural ingredients as well as reducing plastic waste! (Although the conditioner is in a plastic bottle). I’ve had no transition issues with the shampoo bar and my hair adapted straight away! My hair feels great after washing too and smells lovely! 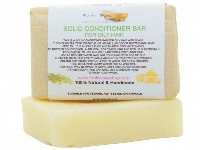 The best conditioner I have found for thick, dry and curly hair. I have very dry, thick, naturally curly hair and I doubted whether this could cope and tame the frizz but it does. 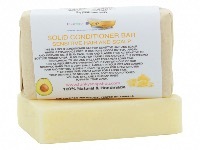 It’s a lovely conditioner that smells wonderful and leaves my curls defined. Thank you. Happy with products, my hair and skin feel so much softer without any nasties involved.